I loved Watch Dogs 2, less so for the characters and story, more for its wonderful virtual recreation of San Francisco and the way you were able to casually explore it – and even work within it. Role-playing as a cab driver in the city was one of the highlights for me. 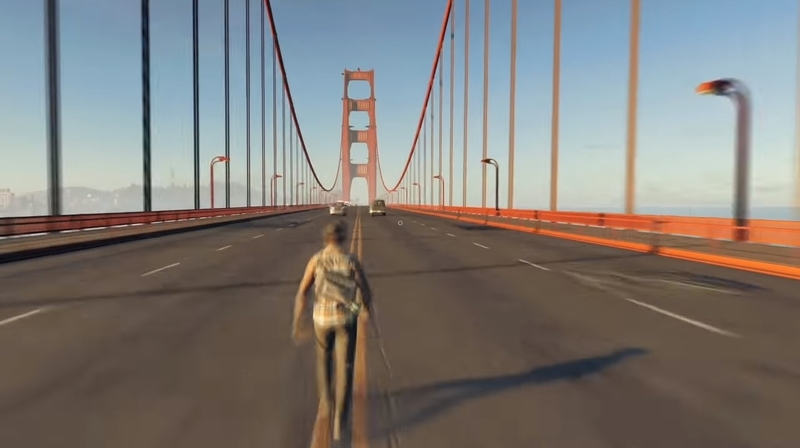 So it’s nice to be reminded of Ubisoft’s gorgeous and sophisticated but criminally overlooked open world – two-and-a-half years after it came out – via a cool timelapse video of a player walking across the entire map. YouTuber Enigma starts at the northern bridge, makes their way through San Francisco and Silicon Valley before crossing the eastern bridge and stopping in Oakland. According to Enigma, the map tour took two hours and 20 minutes to complete. Bet their legs hurt the next day! Watching the video, I’m also reminded Watch Dogs 3, unannounced thus far but expected to launch later this year, is reportedly set in London. As a Londoner myself, I can’t wait to role-play as a cab driver, driving around my old stomping grounds south of the river and, with any luck, causing trouble in Croydon. Surely Croydon’s in the game, right? Anyway, Watch Dogs 2 is still a gem – one that perhaps didn’t make the splash it should have, but well worth revisiting.